Did you know that Megan Mullally and Stephanie Hunt have formed a duo called, Nancy and Beth? I stumbled across them on Mullally’s instagram and I have fallen madly in love with them. They have big strong voices that sound great in harmony on all genres of cover song. There are elements of Broadway, performance art, blues, jazz, and folk throughout their music. I really dig the synchronized dancing. It’s sort of weird, sort of funny, and totally eye-catching and I can’t get enough of it. The first single is a strong choice; it’s a cover of Wynona Carr’s “Please Mr. Jailer.” The music video is so well curated and stylized. I wish I could live in it! They start off in these sort of stretchy jersey sacks while they move in short, choppy movements in them. They sort of look like fashionable straitjackets. Must have those shoes. This whole outfit is adult Wednesday Addams fall collection. Sign me up! White jumpsuits in capri length with super cool shoes and great vamped up hair. It’s like a Grease the musical mechanic’s jumpsuit with cooler vibes. Can I look like this now, please? We’ve come to my all time favorite outfit and part of the Please Mr. Jailer video. There is some squat dancing and real strong singing. 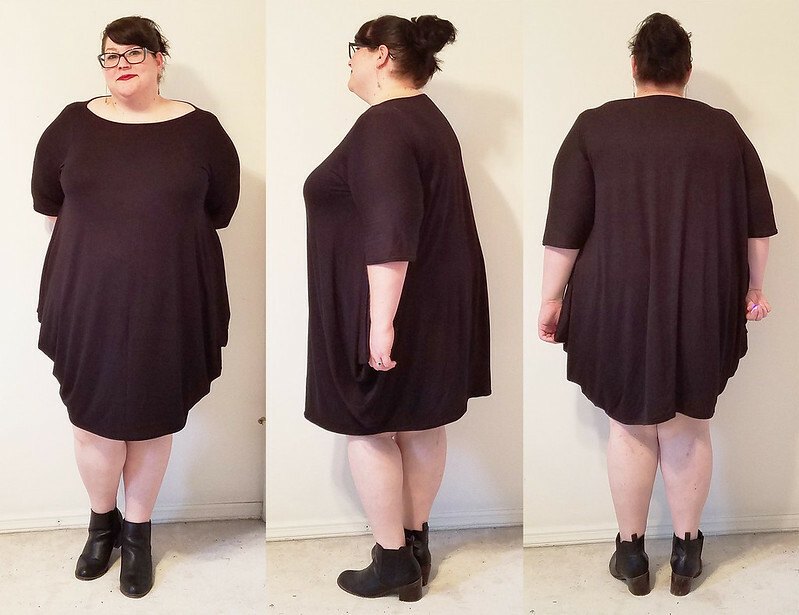 Long sleeve, short black sack dresses (is there another name for this kind of dress?) with black tights, and those kicking black boots. I want to look like this! 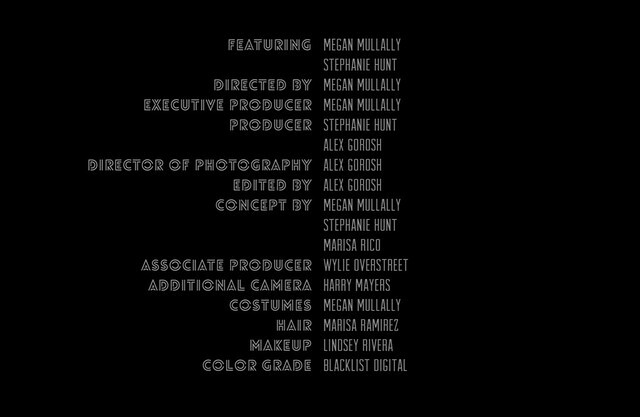 Roll credits and find that Megan Mullally did the costumes/my dream wardrobe. Nice job! So here is my first Nancy and Beth-inspired dress, a slightly altered Simplicity 8379. I love this pattern. I previously made a short sleeved green one. I made a couple of alterations like adding sleeves, 3/4 sleeves since it is fall. I also cut the neck line straight across and finished it with a twin needle. Did it work? Is this a Nancy and Beth dress? I love your dress and “homage” and thank you so much for turning me on to this video and all the clothes!! Soooo cool. Haha! I didn’t either, but she is really good. That’s my dream! Nancy and Beth and Megan? Thanks! I’m a big fan of this pattern. Would recommend! I’m glad someone else is as obsessed with their style and choreography as I am! I’m not on Twitter, I am on Instagram as SomedaySewing. Nice to meet another fan! Found this post via the Sie Macht blog. What a great look and inspo! I’m a compete fraidy cat re: patterns period and modern clothing patterns. I should try this one, however.